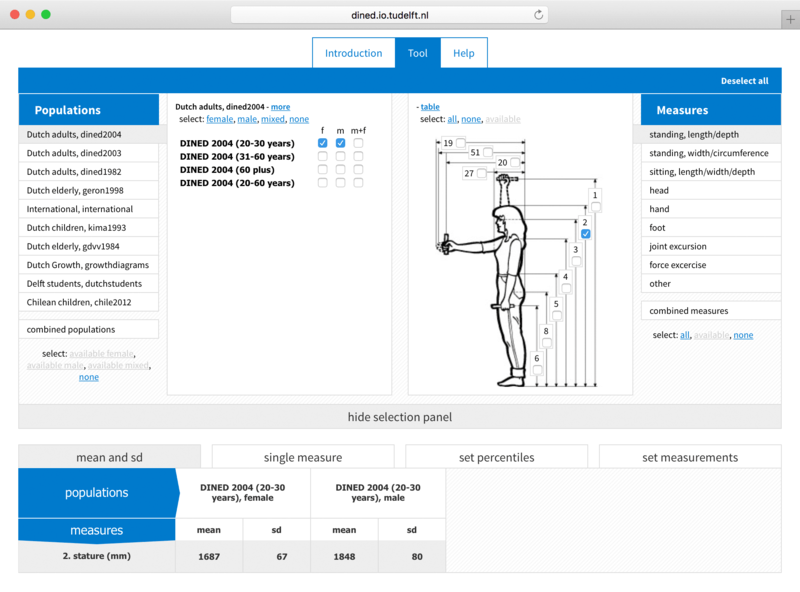 The DINED 1D Database makes it easy to compare anthropometric data from several studies available and to automate statistical calculations. Select from a variety of populations, further divided into specific datasets. You can also see data for male, female and mixed populations separately and compare populations or combine them. Easily see which measures are available for the currently selected datasets and select measures to compare. You can also get more information on specific measures. View and compare data in a variety of ways: a table with mean and standard deviations, single measurements. or a table with measurements for a specific percentile or percentiles for a specific measurement.